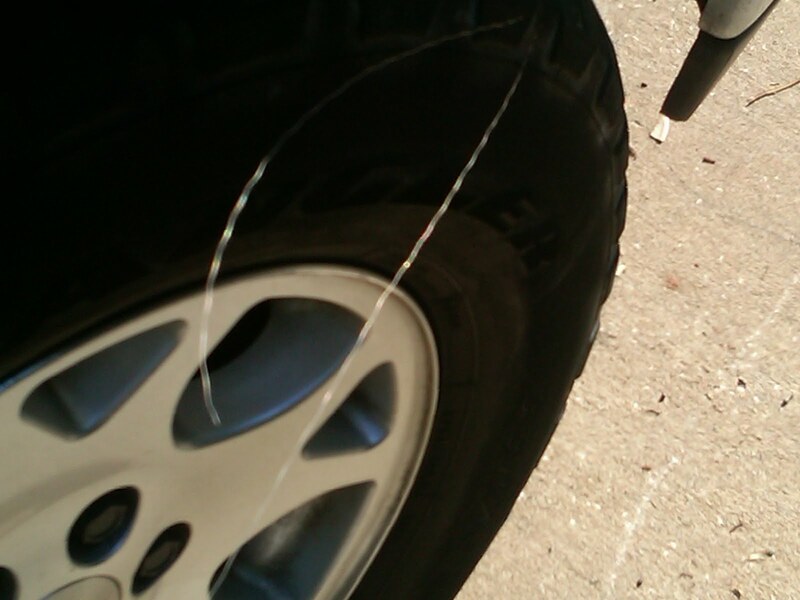 Yup, those are two wires sticking out of my tire. we pulled up behind an adorable, and dare I say slightly beefy, little Prius. Now that car is totally not practical for me right now, but I really think Toyota's green living 2012 Plug-in Prius Hybrid is the bees knees. The only little problem with the 2012 Prius is that the price point has not been set yet. I have been able to figure out that Toyota is trying to get the price down before the Spring release of the 2012. How does the Prius Plug-in work? 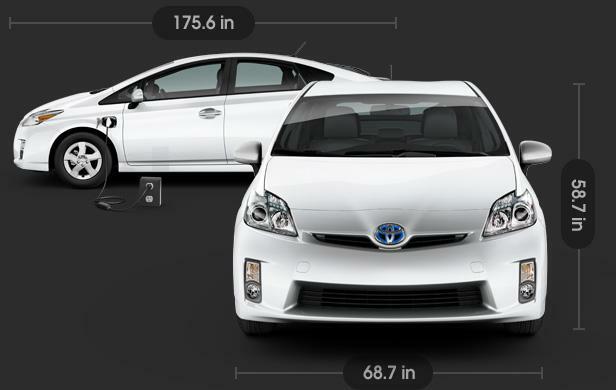 - The Prius Plug-in requires no special charging station. To charge the vehicle, simply plug it into any standard 120V. If its charge depletes while you're driving, the vehicle switches over to full-hybrid mode, operating just like a regular Prius, still giving you outstanding mpg. 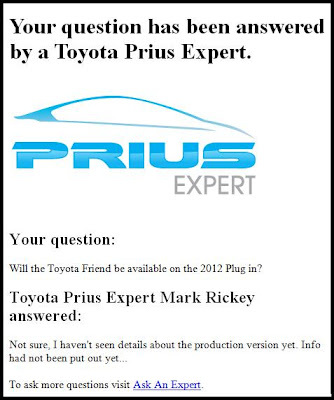 What are the benefits of the Prius Plug-in? - With the Plug-in's extended EV mode, you'll be able to make many of your daily local trips without using a single drop of gas. And because it's backed by Hybrid Synergy Drive®, you could get up to 475 miles on a single tank, depending on driving conditions. You also get the convenience of Plug-in charging and rapid recharge times: 3 hours with a standard 120V household outlet or 1.5 hours with a 240V outlet. How will plugging in the vehicle at home affect my electric bill? - The Prius Plug-in draws approximately one kilowatt and takes approximately three hours to charge. But since electricity rates vary greatly depending on where you live and the utility company you use, we can't determine exactly how much it will cost you to plug in the vehicle. Your bill will also be affected by how often you charge the Prius Plug-in. 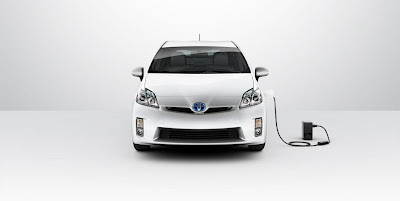 Another interesting tidbit about the 2012 eco-friendly Prius Plug-in Hybrid was announced yesterday by Salesforce.com and Toyota Motor Corporation. Apparently they have formed a strategic alliance to build “Toyota Friend”, a private social network for Toyota customers and their cars that I think it pretty ingenious albeit intrusive. Toyota Friend will be powered by Salesforce Chatter, a private social network used by businesses, and will be offered, first in Japan, initially with Toyota’s electric vehicles (EV) and plug-in hybrid vehicles (PHV) due in 2012. It's like Knight Rider, gone green!! The Green Living Plug in Prius everyone's been waiting for. Sign up today to get first dibs. Toyota President Akio Toyoda, a racing fan, said he always "talks" with his car when he is zipping around on the circuit. He added that, with the popularity of social networking, cars and their makers should become part of that online interaction. "I hope cars can become friends with their users, and customers will see Toyota as a friend," Toyota's President said. Salesforce.com chief executive Marc Benioff feels that social networks can add value to products and companies. It can also help Toyota gain massive information not only about their buyers but about how the car is working or not working, he said. Hmmm, not sure I like that idea or not? "I want a relationship with my car in the same way we have a relationship with our friends on social networks," he said. 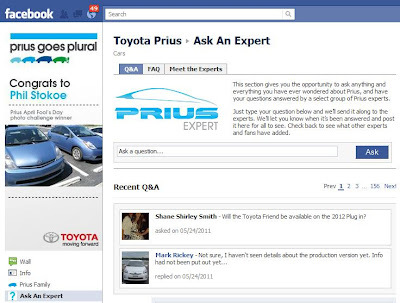 If you would like to connect with the green Prius automaker, Toyota, you really should visit their Fanpage on Facebook. They have a page where you can "ask an expert" and get an answer to any questions you have about the eco-friendly Prius Plug-in Hybrid.